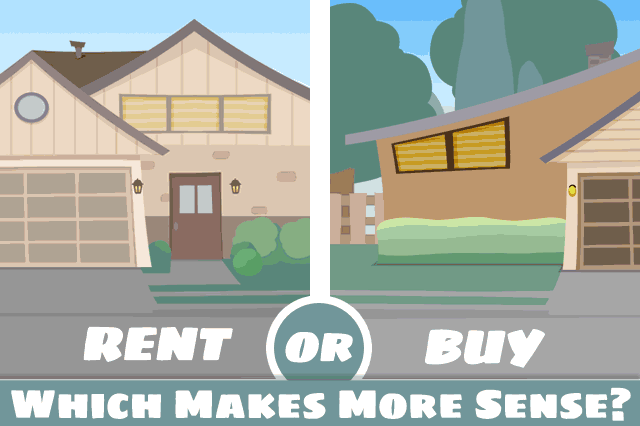 Should I Rent a Home or Buy With an FHA Mortgage? That question gets a different answer depending on the housing market you live in, but some published reports claim some renting hotspots such as those in Orlando, Florida and Salt Lake City, Utah are seeing rental increases in ranges as high as $800-$1,000 more per month with a renewed lease. July 21, 2018 - Should you rent a home or buy one with an FHA mortgage loan? That question gets a different answer depending on the housing market you live in, but some published reports claim some renting hotspots such as those in Orlando, Florida and Salt Lake City, Utah are seeing rental increases in ranges as high as $800-$1,000 more per month with a renewed lease. In Chicago, Illinois some up-and-coming neighborhoods and revitalizing areas are charging $2,200 for two-bedroom apartments. Compared to housing markets in other, less densely populated areas, these numbers are a serious motivation for some to look at becoming a homeowner and applying for an FHA mortgage loan. What is the major advantage of applying for an FHA loan to buy a house instead of renting a home? There are multiple reasons, but one of the biggest is the concept of the home’s equity and property values. In a time when property values are going up (especially compared to a decade ago when the housing crisis brought property values down significantly) many current homeowners are looking at FHA refinance loans that let them pull cash out of their home based on a new appraisal. In a time when a new appraisal may result in the home being valued significantly higher, using an FHA cash-out refinance loan can help people pay off student loans, put money toward home improvements, travel and more. Buying instead of renting in such circumstances can make a lot of sense-you give yourself the opportunity (when conditions are right) to refinance later and take advantage of those rising property values where applicable. Obviously not all housing market cycles are going to give such results, so timing is important. But these things ARE cyclical, so for some borrowers it is only a matter of time before they can think about FHA cash out refinancing to take advantage of that upward movement in the housing market cycle. Owning your home instead of renting has other advantages; the predictability of your monthly payments for an FHA mortgage replaces the worry that the landlord will significantly raise your rent for the next lease. And you are free to modify, paint, or build on your own property as opposed to having to run to your landlord for permission every time you feel you need to make an improvement. Or worse yet, having to wait until your landlord gets around to making improvements or repairs. In some housing markets it may make more sense to rent for a while; if your market has a lack of supply where real estate sales are concerned, your price range may not be attainable until there is more to choose from. Or you may find that a construction boom has started in the area where you want to live but not enough new homes are ready to sell just yet. Some are waiting for condo units to open up in desirable buildings, and FHA home loan options do include condo loans, so this is another area some borrowers find they may be playing the waiting game in until the right properties become available. If you are considering making the jump from renter to homeowner, talk to a participating FHA loan officer to learn what your options might include in your housing market.